In order to provide a single view of virtualized infrastructures built on VMware vSphere and EMC VNX Series Storage, VMware and EMC have announced a joint solution at an EMC World. VMware says that they’re excited about the partnership with EMC to let the customers’ community know what and why they’re doing. VMware explains “Why” first. Why they’re trying to solve the problems? Now-a-days, the virtualized environments are so dynamic that split decision-making leads to poor performance, capacity planning and utilization. Actually, a group needs all the necessary information about the infrastructure to coordinate their activities fast enough to meet the service levels and the users’ expectations. Unfortunately, it has become little difficult and troubleshooting consumes more time. This solution will be the perfect choice for this subject. The solution is the new EMC VNX Connector for vCenter Operations that is capable of feeding the VNS Storage metrics and customized dashboards to vCenter Operations Manager. This stream of information is pooled with vSphere deep integration and it gives the vCenter Operations Manager complete visibility and understanding of the full virtual environment servers, networks and storage. We can say it is a good fit for any size enterprise that uses VNX storage and this solution scales up for the large cloud environments that are especially dynamic and difficult to manage. 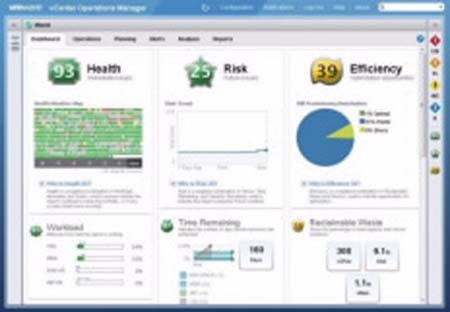 Moreover, vCenter Operations Manager brings a number of features to help the administrators stay in control. They’ll receive notifications of issues and proactively take steps to keep the infrastructure running at an optimal capacity and efficiency. The customizable dashboards are capable of continuously updating health risk and efficiency scores to provide an end-to-end visibility into the virtualized environments and the cloud operations. As vCenter Operations Manager delivers an actionable performance analysis that accelerates the resolution of performance and capacity problems, troubleshooting becomes easier and your work becomes simpler.